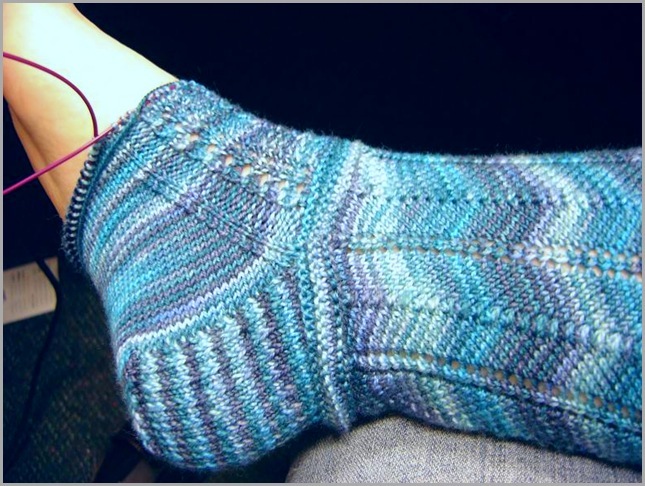 Della Socks... a satisfying adventure! 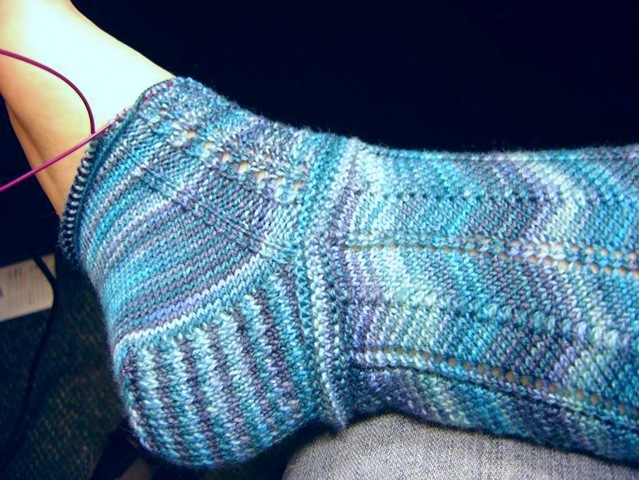 This pattern (Della Socks by Holly Terrell) has really hit the spot as far as interest and simplicity goes! Since the initial cast on, I feel quite pleased and entertained by this sock! I love that the pattern has changes and twists and turns along the way. By the way things have been progressing, it looks like sock number one could be completed today... and as you can see it fits me perfectly! The design progresses from the chevrons to the garter to the ropes with ease, and makes a great looking transition! 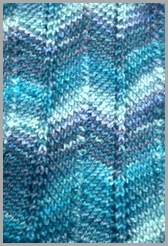 I also love the coloring of the yarn... just enough flashing to be interesting, without being overkill.